Foul Mudamas a staple Middle Eastern dish! Foul Mudamas is a very popular breakfast dish eaten and enjoyed by the rich and poor across the Middle East and North Africa. 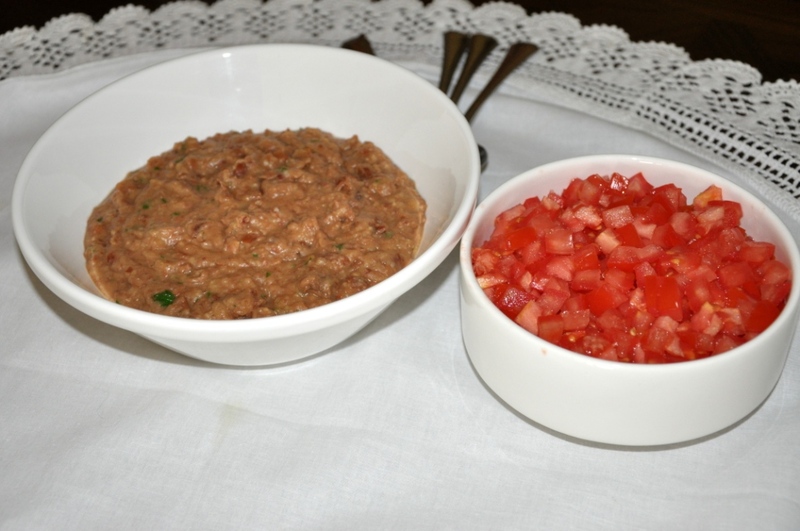 In Egypt, Foul is close to being proclaimed the national dish! 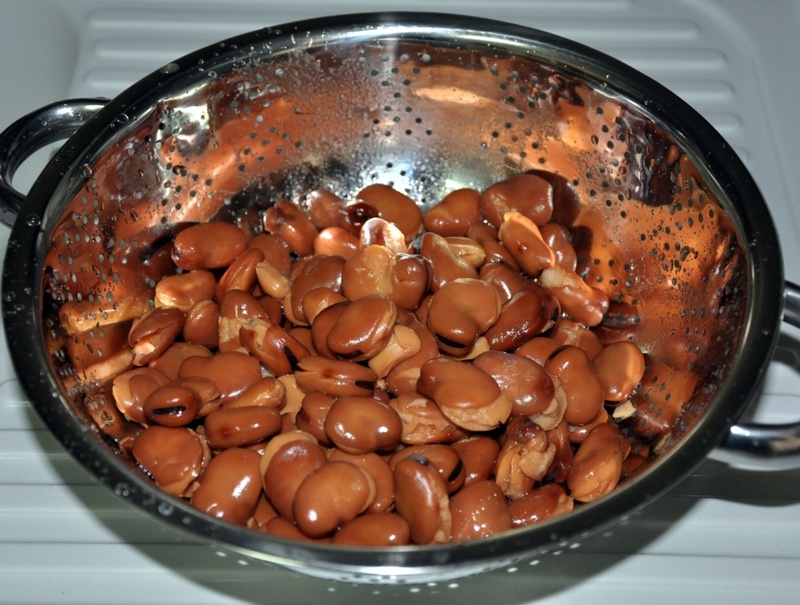 Basically Foul Mudamas is the most popular fava beans dish of the Middle East. As a child, for some weird reason beyond my comprehension, I didn't like Foul! Thinking back I cannot recall that I every tasted Foul mudamas! It was one of those dishes that for some unknown subconscious reason I thought I didn't like. It could be because we didn't prepare foul at home and when we went to restaurants Foul was one dish among a wide variety which included Hummus, Falafel, tomato dip, pickled green olives, pickled cucumbers etc... Among those colorful and enticing dishes, Foul wasn't such a big temptation for a child. I learnt how to enjoy and love Foul from my father-in-law. He also taught me how to prepare it his way, which happens to be very basic and simple!! I also find restaurant style Foul very different than the one prepared in homes; homemade Foul Mudamas is much better! It is delicious! Today's recipe calls for using canned broad beans (fava beans), but the traditional way calls for using dried broad beans. I prefer to use the cans with the larger bean sizes, but the smaller sized beans work just as well. Hope you try today's dish and I am sure your collection of fava beans recipes is going to have an additional fave bean favorite recipe! Drain the broad beans (fava beans). Place the beans, water and cumin in a pot and bring to boil. Simmer for 10 minutes. With a potato masher, mash the beans. Add the garlic and simmer for 3 minutes. Add the lemon juice and olive oil. Mix well and remove from heat. Drizzle the Foul Mudamas with olive oil, then garnish with chopped parsley leaves. I serve Foul Mudamas with finely cubed tomatoes on the side. 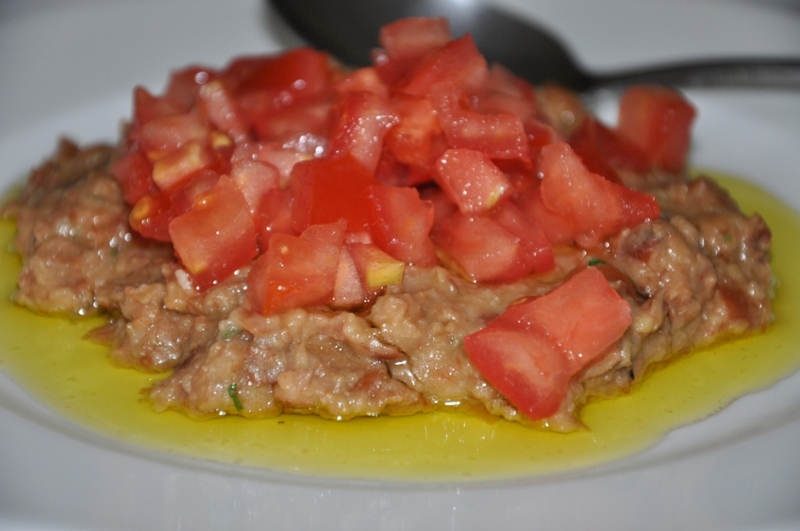 Each person pours Foul onto their plate, tops it with the chopped tomatoes and then pours a little oil on top. You can then eat it with a spoon or dip with pita bread. Hope you enjoyed today's easy recipe: Foul Mudamas. Bon appetite. Do you have any special way to prepare Foul Mudamas? Hope you will consider sharing with us. GREAT looking dish. Going to have to try this out. Thanks so much for sharing. Our family are hummus addicts. Enjoy making hummus vege burgers. This would be great with lots of our healthy recipes.